Finding the best Katy TX Martial Arts Lessons for you can be difficult if you’re still searching for the right dojo. Are you trying to enhance your martial arts and karate skills but you don’t know where to start? 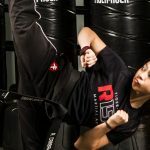 If you’re still questioning the gyms in your area and you’re ready to make some improvements, Tiger-Rock Martial Arts is here for you. Our certified instructors and extensive courses are here to assist you. 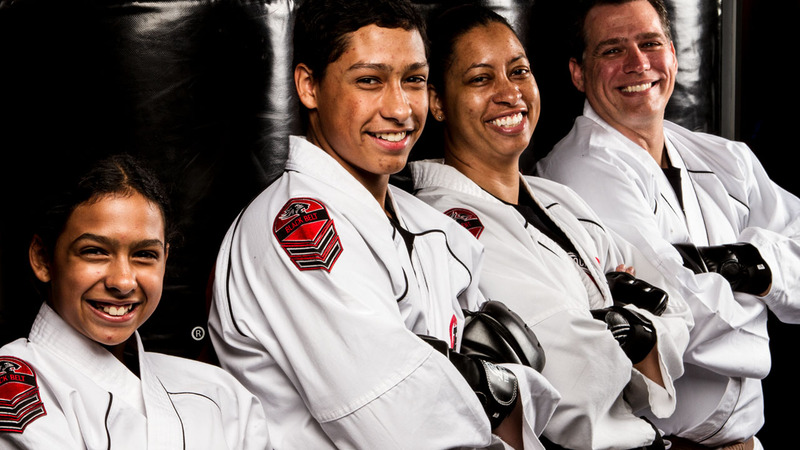 Tiger-Rock Martial Arts is a franchise that has been around since 1983. We are the largest of our kind in America, and our locations continue to multiply. If you’re trying to find a dojo that can teach you a traditional style of Korean Taekwondo, this is it. We have developed a team of certified instructors and martial arts experts who have mastered this form of combat. TRMA can help you transform yourself not only physically, but mentally as well. Our team wants to make sure you enhance your mind, body, and soul. Are you having problems at work or school, and you’re beginning to feel like you’re not going to have a way to fix them? Perhaps lapses in focus are commonplace nowadays, and you’re ready to start doing much better. One of the many positive benefits of Taekwondo is mental toughness. You can enhance your mentality and make yourself more disciplined by continually studying and practicing karate. Seeing yourself gradually rank up after putting the required effort it will help you increase your self-belief and confidence. There are numerous studies that show the benefits that karate can have on the mind. While many people believe that martial arts are only for physical benefits, this is not true. It can be difficult to measure mental growth, but you will most certainly feel the positive effects of our dojo. We have developed an atmosphere that promotes growth, learning, consistency, and discipline. Do you have a child that’s struggling in school? Perhaps there are many behavioral issues that you’re experiencing on a daily basis and you’re ready to work towards a solution. If so, signing them up for Katy TX Martial Arts Lessons could be the perfect solution for you. Did you know that martial arts can help children become much more disciplined? If your offspring is restless and having problems academically, we highly suggest karate classes. These are a great way to keep your child engaged, challenged, and active. In addition to the many mental benefits, you will also increase your cardiovascular health. Taekwondo takes endurance, and you’re going to have to have a fair amount of agility and stamina to get the most out of it. Though you may feel like you’re not fit enough for this type of exercise, our instructors will work with you. We are always performing performance evaluations so our students can know exactly where they stand. If you’re trying to find a way to increase your physical capabilities steadily, this is a great way to do just that. Competition is another big part of our program. We believe that healthy competition is a great way to sharpen your skills. Tiger-Rock has nationwide competitions that we heavily encourage our students to take part in. These are opportunities for you to pair with other students with similar experience and skills. Competing is an integral part of our dojo’s culture, and we’re always trying to get our students to hone their skills. For more information, contact our instructors for details. We can help you sign up and give you updates on our open schedules and time slots. Our certified instructors believe in pushing our students past their limits. When you feel like there’s something you’re unable to do, we’re here to change your state of mind. Taekwondo takes much more than just physical strength and capabilities. Even if you feel physically fit, having mental fortitude is absolutely vital. We believe in having fun, but you can count on our instructors to push you towards your goals. Self-defense is another aspect of our services. Regardless of your age, gender, or walk of life, you may not feel ready to defend yourself in the face of danger. When walking home from work or school, you never know when you might run into an assailant who wants to cause harm. To make sure you’re properly equipped to fight off an attacker, reach out to our professionals. We’ll provide you with the tools and techniques you need to stay safe in the face of danger. When you come to TRMA for service, you won’t need to worry about long-term contracts or hidden membership fees getting the best of you. We don’t want our dojo to be involved with agreements like this. Tiger-Rock provides our students with straightforward billing along with flexible class schedules. If you’re trying to make sure you can work around your demanding job, our instructors can help you do that. Our time slots are always increasing! 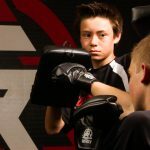 When you need quality Katy TX Martial Arts Lessons, reach out to our professionals at Tiger-Rock Martial Arts. We have a team of certified instructors who are prepared to give you more information and details on the many classes and courses we offer. Get in touch with our representatives today to learn more about the introductory course package we’ve built for new students. We’re ready for you to begin your transformation. The city of Katy was first integrated into the state of Texas back in 1945. We really wanted to make a competitive comeback after being decimated by the Great Galveston Hurricane. Nowadays, we have numerous modern spectacles. The Katy Mills Mall, BP America headquarters, and Amazon center are some of the highlights! We could not be more proud of our Cinco Ranch region. This great neighborhood has won numerous awards for its affordability, livability, and efficiency. If you want a great house for a good price, this may be the perfect area for you!